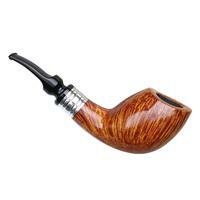 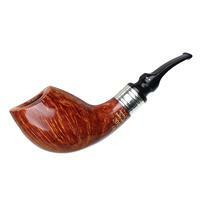 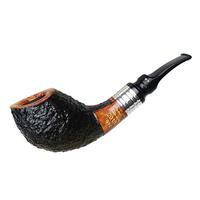 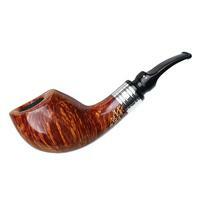 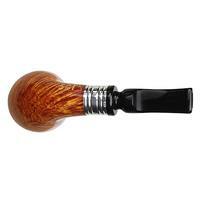 Winslow's Pipe of the Year for 2018 is a hybrid shape, a sort of freehand Cutty with a strong forward cant, a well-rounded disposition, and a fairly generous chamber within. It's here dressed in the series's smooth finish, with a vibrant contrast stain highlighting plenty of grain, as well as some bright sterling silver accents. 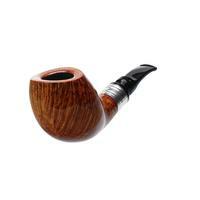 Bowl Height: 1.98 in./50.41 mm. Chamber Depth: 1.64 in./41.71 mm. 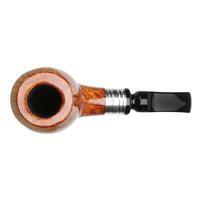 Outside Diameter: 1.79 in./45.38 mm.